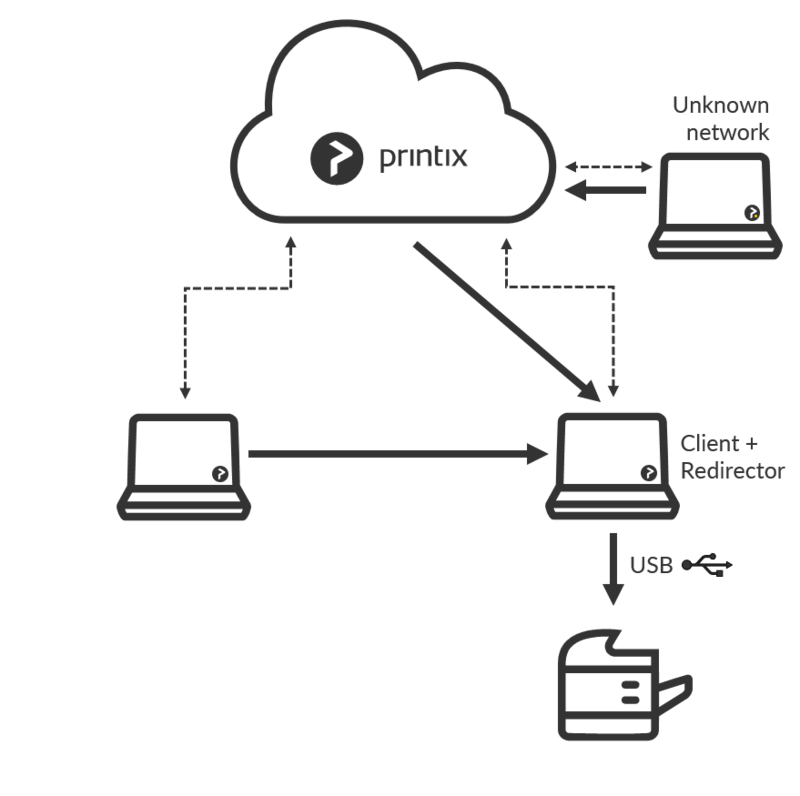 Use Printix Redirector to enable printing to a locally attached USB printer. Install Printix Client and Printix Redirector on the (desktop) computer that has the locally attached USB printer. The computername should be the fully qualified domain name (FQDN) of the computer running Printix Redirector. Example: mycomputer.acme.com. The printername should be the Printer name of the USB print queue. Do NOT use a possible Share name. By default the print name is set to the name of the driver used by the USB print queue. The default print queue is set to the name of the driver used by the USB print queue. If there is no print queue, then Create print queue. Optionally check Via the cloud to allow users to print to the USB printer even though they are not on the same network as the printer. *Printing to the USB printer only works when the connected computer is online. *Print later print method is ignored.